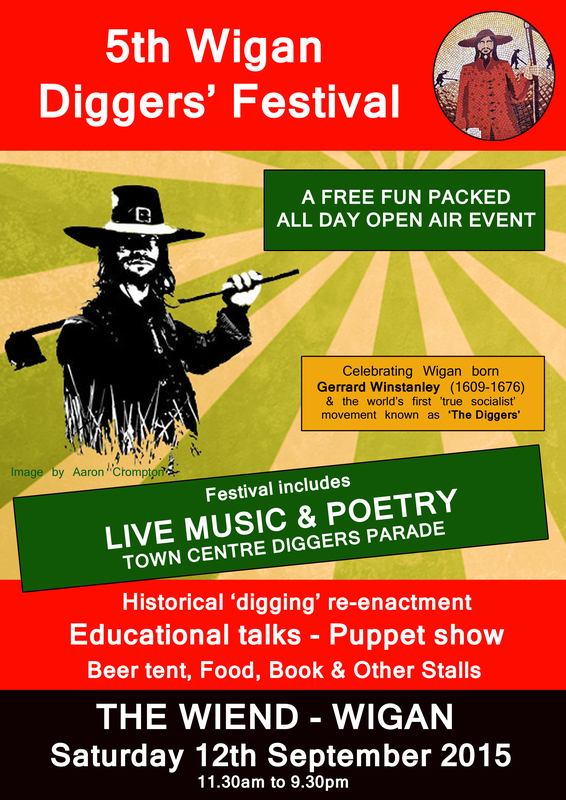 3rd Diggers’ Fest confirmed for 7th September in The Wiend area. 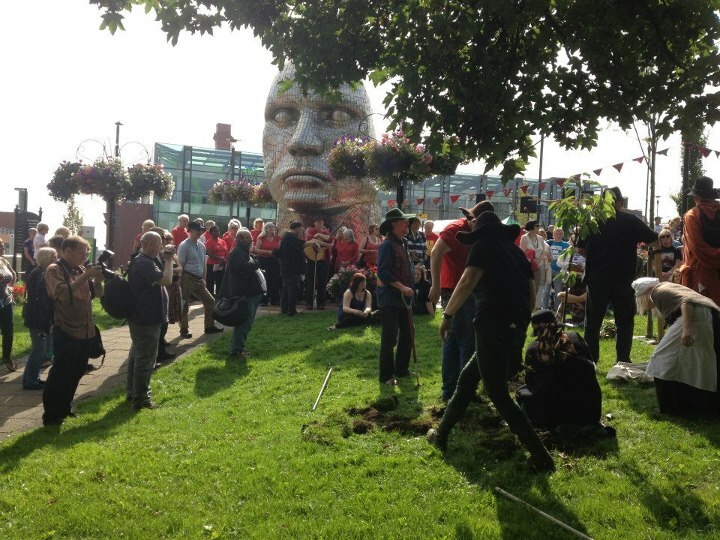 Confirmed yesterday, with Wigan’s Town Centre Manager, the gardens adjacent to The Wiend, containing the ‘Face of Wigan’ statue, and the forecourt of the new Wigan Life Centre (shown on left), unofficially renamed by us “Gerrard Winstanley Place”, will again be the site of this year’s 3rd WIGAN DIGGERS’ FESTIVAL which will take place on Saturday 7th September. The planning of this year’s event is still in its early stages but PLEASE PUT THIS DATE IN YOUR DIARY NOW! 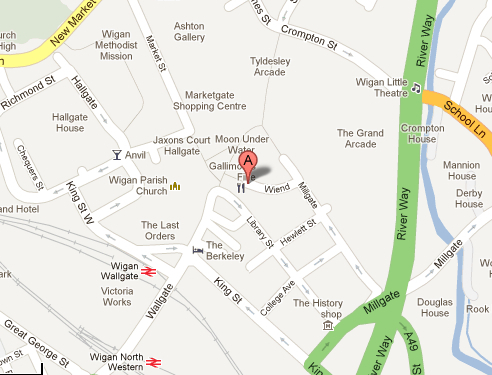 See map below for exact location in Wigan town centre. 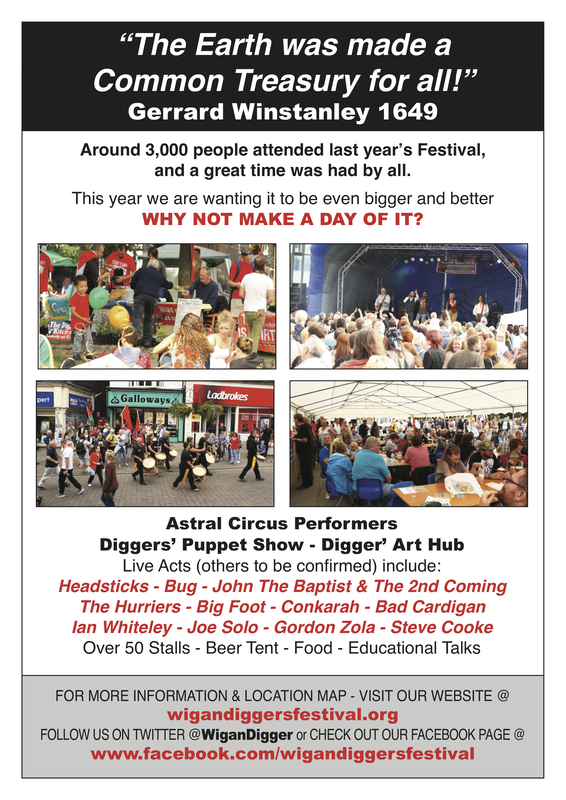 The FREE Annual Open Air Festival celebrates, via the medium of poetry, music and song, film and a range of other activities, the life and ideas of Wigan born and bred Gerrard Winstanley (1609-1676) and the 17th Century ‘Diggers’ movement he became the inspirational theorist and spokesperson of. Last year’s festival was a resounding success, with some of the best weather of the year helping to swell the crowd to around 2000 over the course of the day. Attila The Stockbroker was top of a bill of 24 separate acts including two Socialist choirs, three top radical poets, three local bands, two duos and two professional actors. We are hopeful Attila and actor John Graham Davies, who played the part of Gerrard Winstanley, in a symbolic re-enactment of the digging and sowing (which gave the Digger’s their nickname) at St, George’s Hill near Weybridge in Surrey in 1649 (seen above), will perform once again at this year’s festival, along with some of the most popular acts from last year’s event, and some new and more well known ones as well. 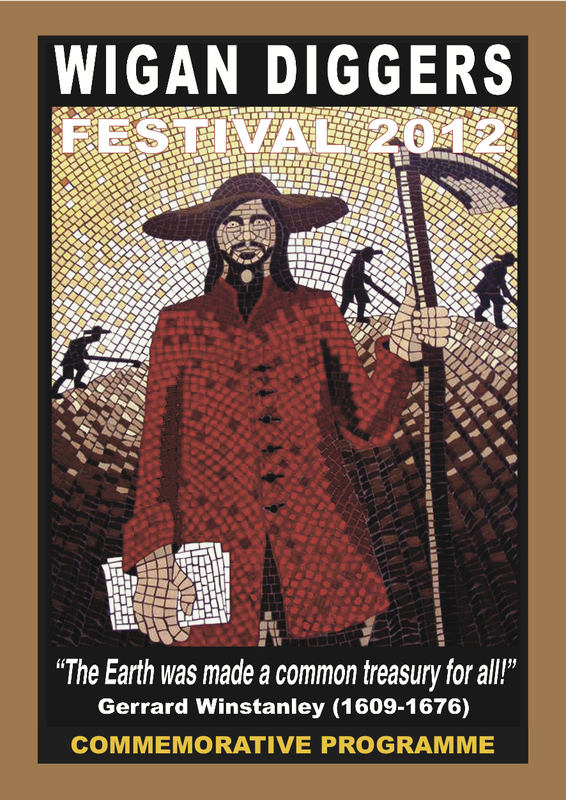 Last year’s Festival also included a film showing, exhibition, audio visual presentation, and a beer tent for which we commissioned our own Wigan brewed ‘Gerrard Winstanley’ and ‘Diggers 1649′ ales, both of which proved very popular and we are hopeful will be available again this year.